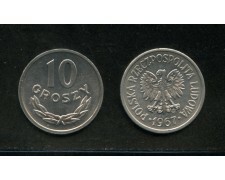 1967 POLONIA - 10 Groszy alluminio (Cat. World Coins N°. Y#AA 47) Fior di Conio.